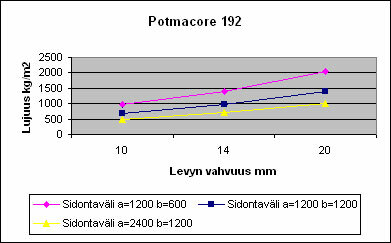 Research report NO VTT-S-03561-06, Flexural strength 100 kg/m2. Different Potmacore panel types with different thicknesses are supported at various bearing distances while the panel is pressed steadily with a constant load of 100kg/m2, after which the bending is measured. No permanent change in form, instead the panel, after the test, goes back to its originate straight form. 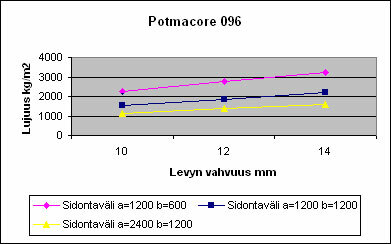 Research report NO VTT-S-03561-06. Ultimate uniform transverse load kg/m2. 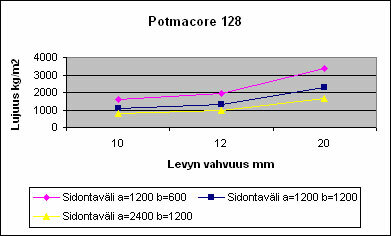 Different Potmacore panel types with different thicknesses are supported at various bearing distances while the panel is pressed steadily increasing the load all along until the panel is buckling. A permanent change of form. 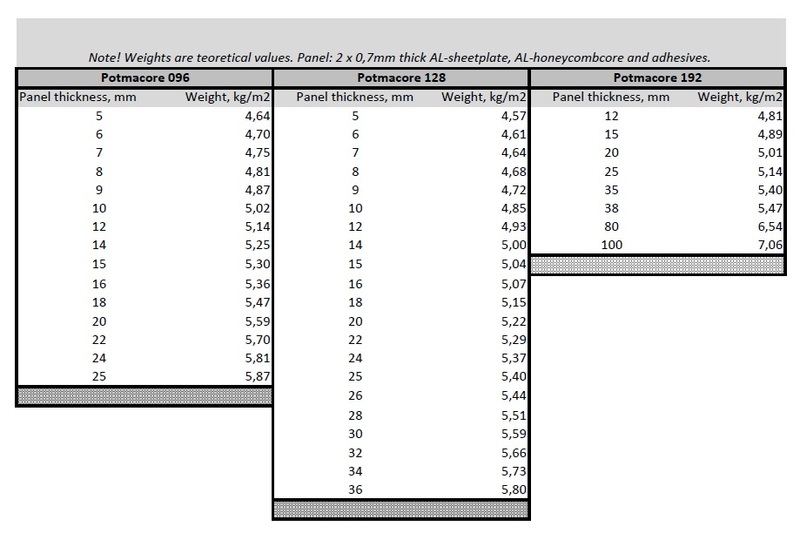 Computational square meter weights for different panel types and thicknesses.